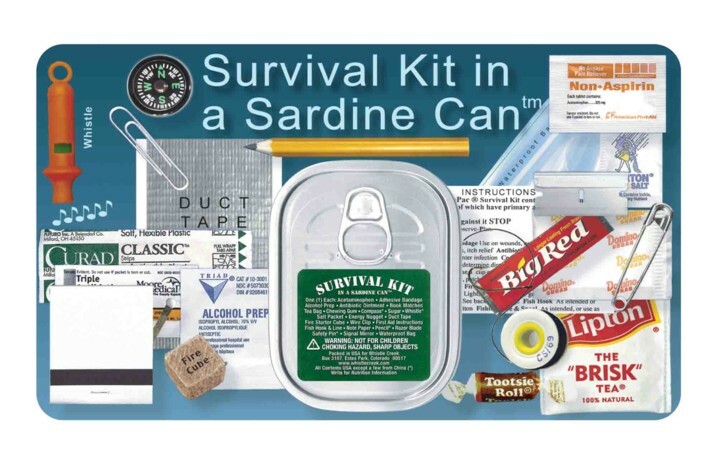 It may look like an ordinary sardine can, but before you get stuck or lost, check this out. 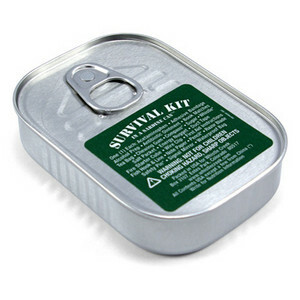 The Wistle Creek Companys survival items in a genuine air-tight, waterproof, crushproof sardine can… Go fish with the hook and line, find your way home with the compass, boil water in the can for your tea and sugar, use the first aid supplies to survive the wilderness. The kit includes the following items: non-aspirin pain reliever, adhesive bandage, alcohol prep pad, antibiotic ointment, book of matches, compass, chewing gum, sugar, salt, energy nugget, duct tape, fire starter cube, first aid instructions, fish hook & line, note paper, pencil, razor blade, safety pin, reflective signal surface, tea bag, waterproof bag, whistle, and wire clip. 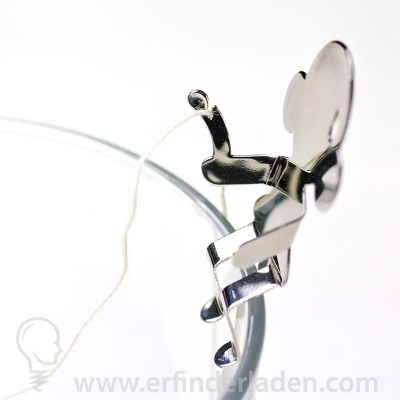 Might be helpful, don´t you think?